EKU Student Activities Council will be holding a Cultural Dinner on Thursday, November 3 in Jaggers Room, Powell Building at 5:30-7:00 PM. 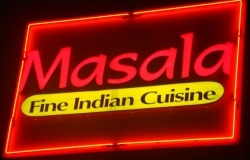 There will be free food catered by Masala Fine Indian Cuisine http://www.masalafinecuisine.com/. See you there!